This topic describes how an administrator can test the connection between SSO and PingFederate. An administrator can test both service provider and identity provider connections. Log in to Apps Manager at https://apps.YOUR-SYSTEM-DOMAIN and navigate to the organization and space where your application is located. 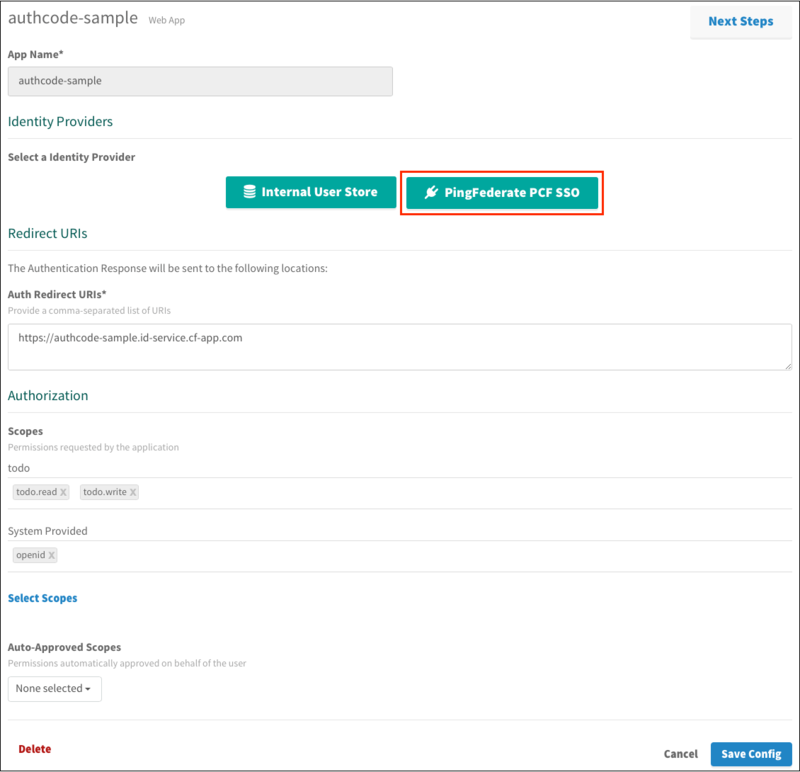 Under Services, locate the service instance of the Single Sign-On (SSO) plan bound to your application. Click the service instance and then click Manage. Under the Apps tab, click your application. Return to Apps Manager and click the URL below your application to authenticate with the identity provider. Click the link to Log in via Auth Code Grant Type. 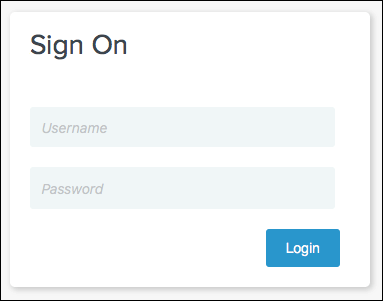 On the identity provider sign-in page, enter your credentials and click Sign On. 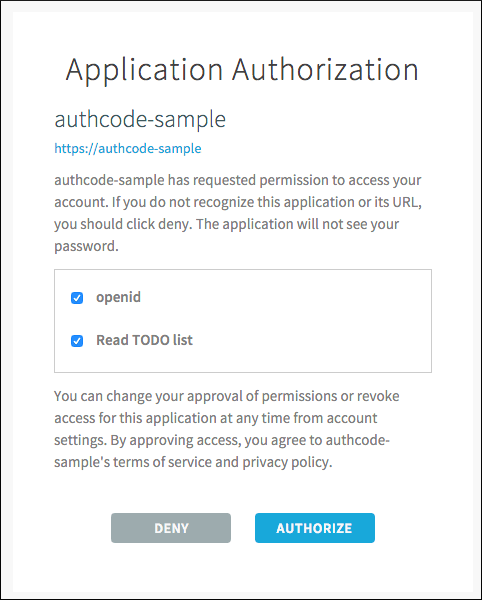 The application asks for authorization to the necessary scopes. Click Authorize. 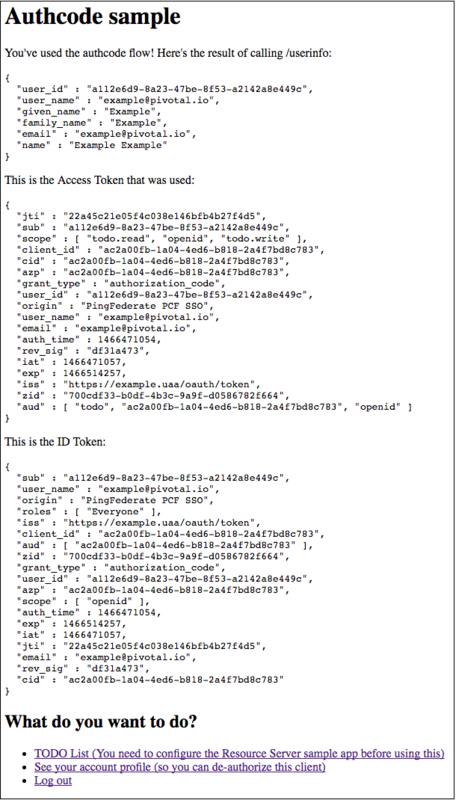 View the access token and ID token. Note: SSO does not support identity provider-initiated flow into applications, but it does redirect the user to the User Account and Authentication (UAA) page to select applications assigned to the user. Navigate to your application and click it. View the list of applications you have access to. Test single sign-off to ensure that when users log out of the application, they are logged out of PingFederate as well. Sign into the sample application. Information about the access and ID token displays, as well as the “What do you want to do?” section. Under What do you want to do?, click Log out. Ensure that you are logged out and redirected to the PingFederate login page.